Obituary for Josephine N. Grant | D.L Calarco Funeral Home, Inc.
Josephine N. Grant, 84, of Watertown, passed away August 20, 2018, at Hospice of Jefferson County at the Ellis Farm, surrounded by her family. Josephine was born on March 24, 1934, in Watertown, daughter of Nicholas and Sarah DeCarlo Grant. She graduated from Watertown High School and for a short time was a secretary for Judge James LaRue. Josephine then became secretary for the Commissioner of Jefferson County Social Services, serving several commissioners during her thirty years, retiring in 1996. Josephine loved crossword puzzles, knitting, cooking and baking; especially baking Italian cookies for her family and family weddings. Josephine always lived with her parents, taking care of them throughout the years, remaining in the family home. Surviving are, two brothers, Vince Grande, Pottstown, PA, Jasper (Karen) Grant, Watertown, NY, a sister Patricia (Art) Williams, Lexington, VA, and several nieces, nephews, great nieces and great nephews. Two brothers, Gregory and Paul and a sister Rosemary McKinney, all died before her. Calling hours will be from 1-3 pm on Saturday, September 15, 2018, at D.L. 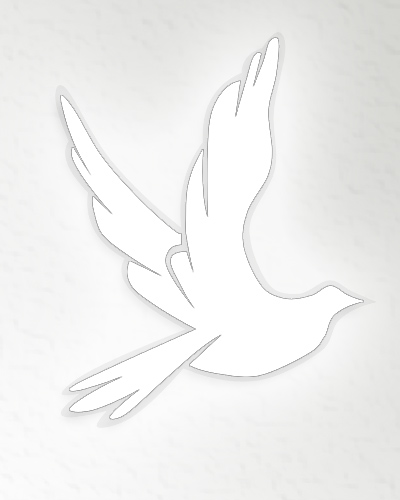 Calarco Funeral Home, Inc. followed by a funeral service at 3pm at the funeral home. Burial will be held in Glenwood Cemetery. Contributions may be made to Hospice of Jefferson County, 1398 Gotham Street, Watertown, NY 13601.Condolences may be made to www.dlcalarco.com.